To be honest I wasn’t sure these were a new a product when I first bought them. I have never seen them before, and I really ought to learn to trust my instinct, but there was no “New” label and there was a note on the packaging saying they were produced in Russia. I put them down initially to just being an import. However the packaging is all in English and they were bought in a very mainstream shop which is not known for its imports. So I think it safe to say they are a new product in Smiths at least which just came with little fanfare. I had them on my desk at work, and people kept asking about them so they are certainly knew to some. I opened them up and shared some with my colleagues. 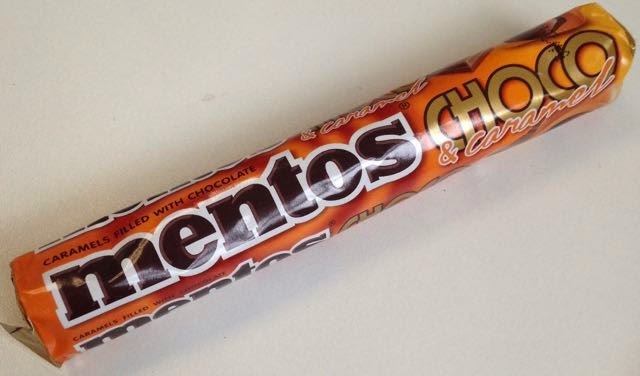 I was disappointed that the sweets didn’t have the usually Mentos hard shell, in fact the coating was just a thick soft chewy toffee. 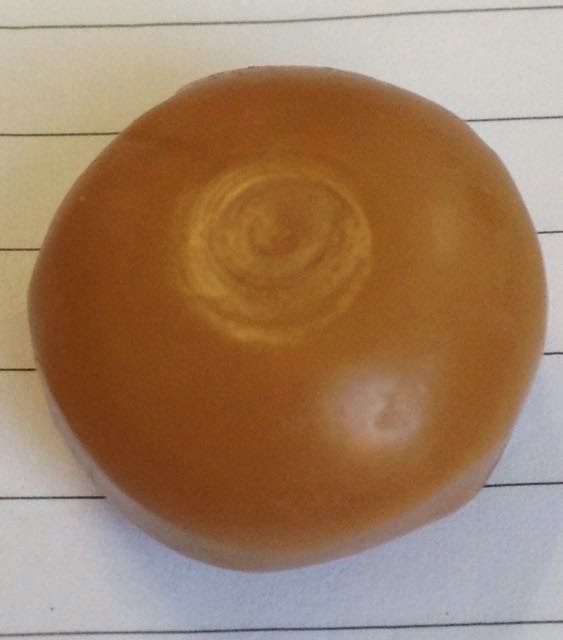 The shell is one of the feature of Mentos you sort expect to be maintained with all its varieties. The filling was nice, it burst with a hit of chocolate and cocoa, that tasted quite strong and went well with the caramel. These are nice, easy to eat sweets. They are essentially just éclairs though, and don’t really bring much new to the sector. I preferred them slightly to Cadbury éclairs as they are softer, but at 70p a packet it is far better to buy the larger bag of Cadburys for £1. There is a mint chocolate variety too. Ok, nothing special I would say.